With the kids a little more grown up, you have time to rekindle your passions – one of them being exploring. One of the most amazing ways to experience the world around you is by going on an awesome motorcycle trip. Some people love to jump on their bike with a bag of snacks and hit the road, but we don’t recommend doing this – especially if you’re a beginner. Instead, by planning ahead, you can ensure you enjoy a safe and yet still amazing experience. Get ready to feel the breeze blowing through your hair and appreciate the freedom. 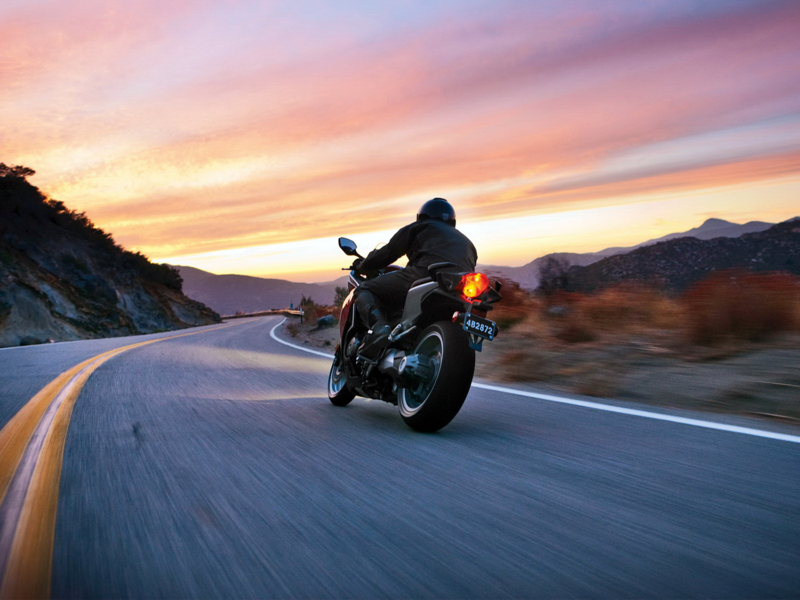 Here we’ll take you through a few things you need to consider when planning that incredible motorcycle journey. If you’ve not been out on your bike for a long journey in while, it is advisable to make sure that all your kit is still up to scratch. Your protective gear is the priority for you. Check your motorbike helmet – how old is it? Technology and the materials used in motorcycle helmets have progressed rapidly over the past few years, and for a long road trip, comfort is key to your protective gear. Make sure you wear climate appropriate clothing to keep you comfortable too. Furthermore, it is always useful to keep a map in the event your phone runs out of battery or is out of coverage. It is all well and good saying you are going on a road trip, but without a planned route your journey will fall flat quickly. Every successful road trip has an end goal – a specific landmark, a popular town, or even the end of a certain highway – and so it’s best to plan where you’re going well in advance. Plan how long you’ll be on the road: if this is your first trip then it’s probably best to assume you can cover 100 miles in a day, including breaks. If you’re an experienced rider you could up this all the way to 350 miles a day, but this is pushing your riding to its limit. If you aim for a 500 mile journey (there and back), then you’ll need 5 – 6 days, or around 3 – 4 if you’ve been riding for a while. Plan your pit-stops: you’re going to need sleep – that much is a given. With an end goal in sight you can plan where you’re going to rest your head at night effectively. Plan events: maybe you want to check out a specific town, but it’s not directly on the way. With an end destination in sight you can plan to make specific detours instead of disrupting plans halfway through. With an end-goal you can accommodate everybody’s requests. It really pays to plan your journey in advance. Bring the right things, prepare for emergencies and know where you’re going and you’ll have a great time – although sometimes it pays to be a little more adventurous. Enjoy your freedom!